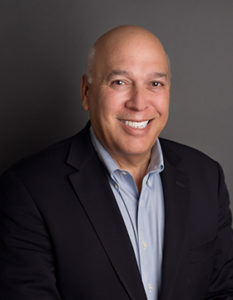 Mark has more than 35 years of experience in public accounting and specializes in helping small to mid-size companies and high net worth individuals minimize their income taxes. He also has extensive experience working with privately held companies and family businesses. The firm’s member manager, Mark also provides tax and advisory services to a wide range of clients including architectural firms, medical practices, law firms, privately held businesses in other industries and individuals. In this capacity, he works actively with his client’s other advisors to ensure clients benefit from a well-rounded and integrated approach to achieving their financial goals. In addition, Mark has particular expertise in entity structuring, the purchase and sale of professional practices, succession planning, majority shareholder tax strategies and nonprofit tax concerns. Prior to co-founding Mann Weitz in 1994, Mark worked at Arthur Anderson and Laventhol & Horwath, where he was a tax partner. He also served as director of tax for a large, local CPA firm. While earning his Master of Science in Accountancy, Mark taught accounting at the University of Illinois in Urbana-Champaign. He has also served as an adjunct lecturer at DePaul University and the Illinois Institute of Technology in Chicago. Mark has also spoken before the U.S. House of Representatives’ Ways and Means Committee about tax policies impacting small businesses.